​Genliduo Bio-tech Corporation Ltd is a comprehensive joint-stock, high-tech and listed enterprise which was founded in 2005. 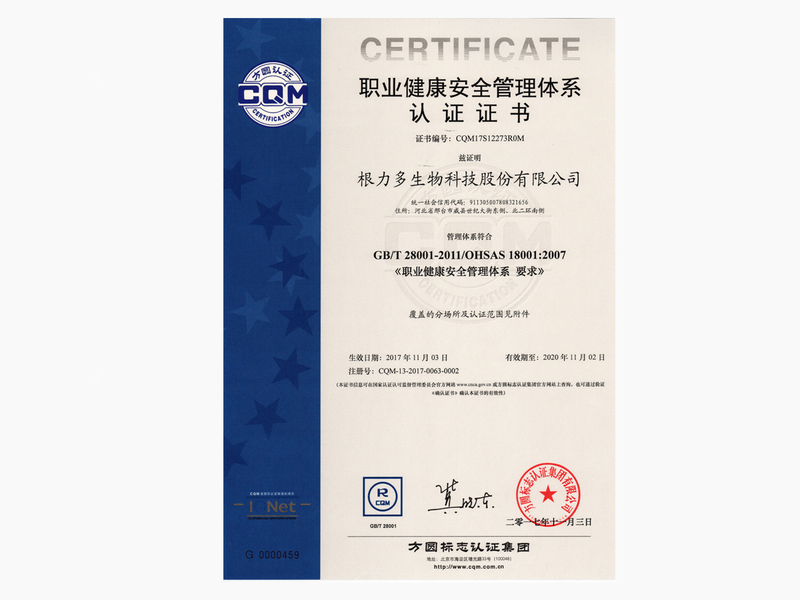 After more than 12 years’ development, Genliduo has become a leading fertilizer brand and one of the largest microbial fertilizer producers in China. The cooperation with Jiangxi Agricultural University and many other famous university have strengthened the innovation and competitive of Genliduo Bio-Tech Corporation Ltd.
Genliduo Bio-Tech Corporation Ltd. adhere to "scientific and technological innovation" from the very beginning. With the new bacterial membrane production of bio-fertilizer technology Genliduo has got 3 national invention patents and participated national 863 plan. 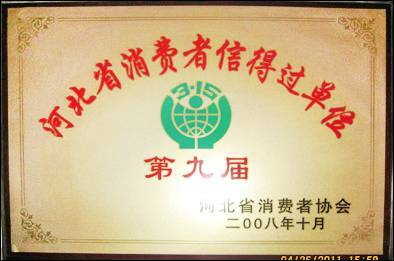 Hebei Bio-Fertilizer Engineering Technology Research Center was founded by Genliduo Bio-Tech Corporation Ltd. in accordance with the Hebei Science and Technology Department's notice requirement. This Center is committed to solving the problems in microbial fertilizer production, storage, transportation, usage etc. The research direction takes the ecological balance and soil ecology as the theoretical basis. Balance the beneficial microorganisms, organic and inorganic nutrients and focus on the cost reduction, mass production, improving fertilizer efficiency and Soil condition, eco-environment and other aspects of comprehensive consideration. Research and development contains complex functional beneficial bacteria, high-grade organic matter, the type of rational structure of the three kinds of inorganic nutrients in one nutrient compound fertilizer preparation method and application technology. "Research Center" and testing laboratories carry out the selection of new excellent microbe and chemical fertilizers can be high permeability osmotic fine microbe, and new high-quality bio-organic fertilizer. 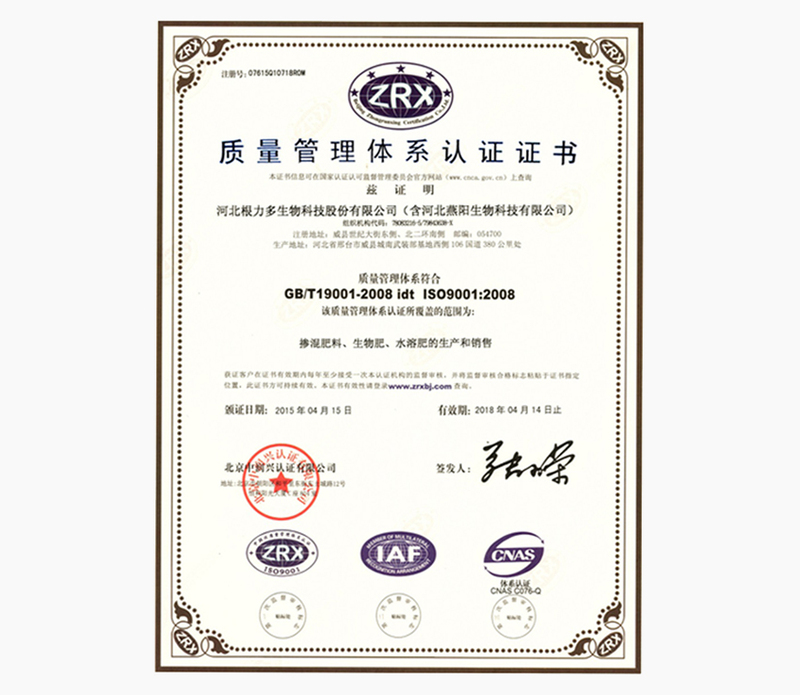 In 2014,the trial production to determine the production process, optimize the production process formula and conditions, the field efficiency test, pilot production, to determine the new bio-fertilizer formulations and production technology, product development process standards and product testing Standard, expand the field test area and crop varieties, the implementation of large-scale production, the organization of materials for project acceptance. Hebei bio-fertilizer engineering research and development center as a co-building platform, not only greatly improve the Genliduo products technology research and development capabilities but also offers the technical support to other bio-fertilizer companies. 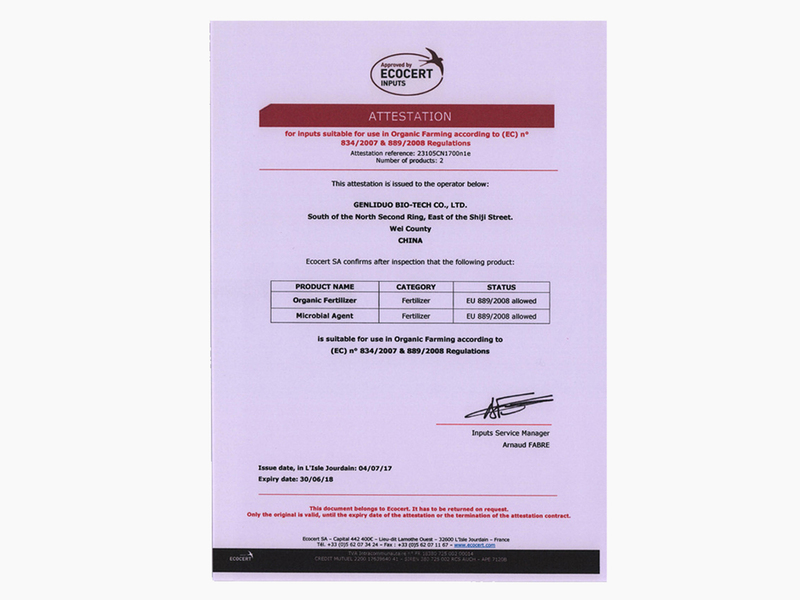 International Division Add: Unit 345-22, South Shoujing Road, Qiaoxi Dist, Xingtai, 054000, China.